We basically charge by the amount of ACM material removed (usually in square metres). 1) Size and Difficulty Of the Job. Clearing a roof with a big pitch, for instance, is harder than taking apart a simple asbestos fence. Tipping costs start at about $500; this can vary depending on the type of materials involved.. In general, large pieces that are easy to pick up, will cost less to remove than smaller, awkward pieces. As a general rule of thumb. Jobs with good site access can take less time and take less resources, thereby reducing our costs (and yours). Get a quote by calling the phone number above or fill out the quick quote form at the top of the page. How Can I Know If My Home Is At Risk? It’s estimated that over 60% of the production of this dangerous fibre and 90% of all its consumption has occurred in the cement manufacturing industry, and these products have been used extensively in Australia’s construction industry of the past. Since the materials were highly durable and inexpensive, they were extensively used in the industry. After World War II until 1954, for instance, thousands of houses in WA alone were built with AC cement, a little over half the houses built. Up until the sixties, a quarter of all new houses in Australia was clad in ACP. Its estimated that 98% of all homes constructed before 1976 in WA contained ACP (probably mostly wall sheeting), and that a fifth of the domestic roofs contained asbestos on that period. While asbestos hasn’t been used in domestic building materials since the eighties, the substance and all products containing it were only banned in Australia (including Perth) by the end of 2003. Currently, it is illegal to store, supply, import, sell, install, utilize or reuse such materials. The ban, of course, does not apply to materials containing asbestos (ACP) which were installed before that date, such as the asbestos in many Australian houses today. In any way, if your house was built or renovated in the eighties or earlier, it probably does contain at least one form of ACP – especially cement sheeting. It is hard to tell if a certain material contain asbestos just by looking. While many building materials installed before the late 80s may contain it, you can only be sure if you have a sample of it analyzed by a laboratory – and it’s important that you confirm that before performing any general maintenance, demolition or renovation activity. If you do not wish to pay for testing, you should treat the material as though it contains it, otherwise you might be exposing yourself to severe health risks, especially if the material might contain loosely bound asbestos. Can A New Building Contain It? Since 31 December 2003, ACP has been banned from Australia, as well as all and any products containing it. It is illegal to store, supply, import, sell, install, utilize or reuse materials containing it. Once again, the ban does not include products installed prior that date. Since the eighties, cellulose fibres are used in place of asbestos in building materials, and fibres such as glass are used in insulation problems. There are still some harmful health effects associated with said products, such as throat and skin irritation that can occur when one inhales the dust that cutting said products create. There are two main types of materials that contain this deadly material that were used in housing construction: Bonded, also known as tightly bound or non friable, and Loosely bound or friable asbestos. Materials containing bonded materials are those with a percentage of asbestos fibres embedded into a hardened cement matrix. These are the most common asbestos-containing materials used in residential housing. 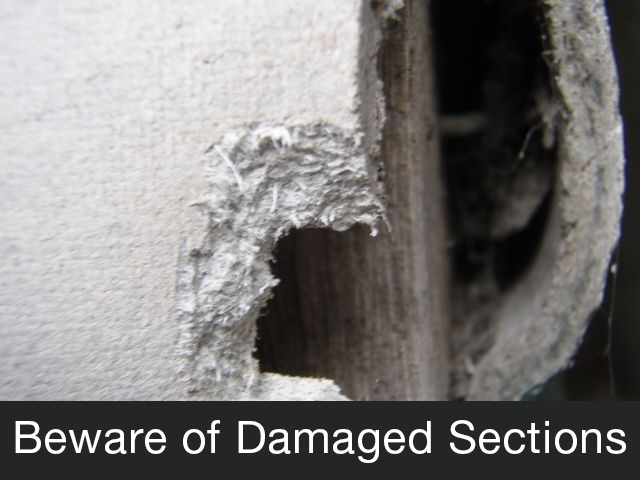 Commonly named ‘fibre’, ‘AC sheeting’ and ‘asbestos cement’, these materials tend to contain 10-15% of asbestos, but may contain up to 40%. 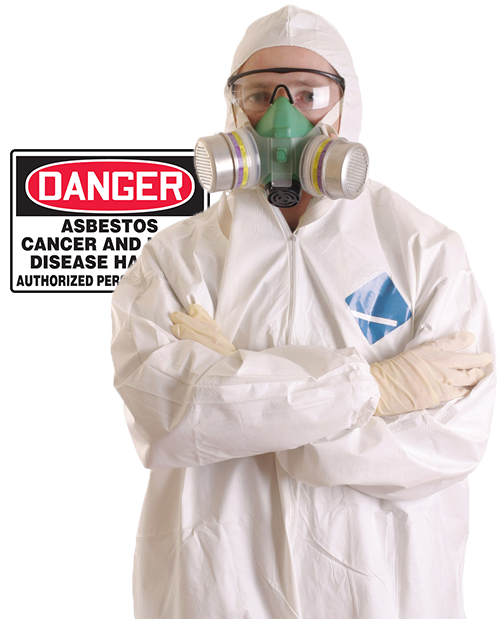 Nowadays, cellulose fibres are used instead of bonded asbestos. Materials containing bonded asbestos are known to be less risky than loosely-bound materials, and they can be handled with more ease. However, firmly-bound materials can become loose and start falling apart due to degradation, and thus they would need to be handled with extra care. Firmly bound fibres are also found in insulating boards that are used for heat and sound isolation as well as fire protection. These can be found in commercial, industrial and even in residential properties, and they are used in ceiling tiles, electrical panels, circuit boards and wall linings, with an asbestos content of approximately 20% to 45%. Not ordinarily found in residential properties, loosely bound products were used mostly in industrial and commercial settings for fire and sound proofing and general insulation, which, nowadays, are done by using glass fibres instead. Loose fibres can rarely be found in old stoves, domestic heaters and hot water systems, and they can contain up to 100% asbestos. Since they’re so loose, the material can turn to dust when light pressure is applied to it, making it especially dangerous. Loose fibres can become airborne very easily, and they should only be removed and handled by a licensed Perth asbestos removal professional. If you find bonded asbestos in your home. Unlicensed professionals can remove up to 10m2 from the premises. Any more than that requires the services of a licensed company. If you are unsure about safe removal and disposal practices then you should call in a certified contractor for a quote to take care of it for you.